What exactly is botox party and how does it work? Botox Party is a great way to get your friends together to enjoy wine, great way to spend a day with your bestie. With a minimum of 5 confirmed guests, all attendees will receive special pricing on Botox and select dermal fillers at our facility or, our medical staff will visit your residence or place of business for the ultimate concierge service. 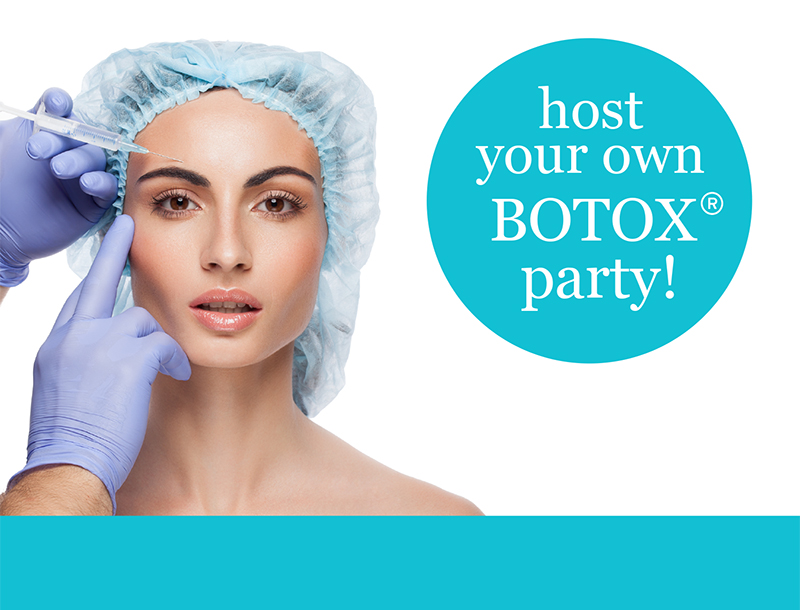 Hosting Botox parties are a great way for you and your friends to save money on Botox and have a great time in the process! The party hostess will enjoy FREE botox and additional discounts per number of guests.